I stopped by O&B Canteen one day after a Jays game for their $5 Mill Street happy hour. 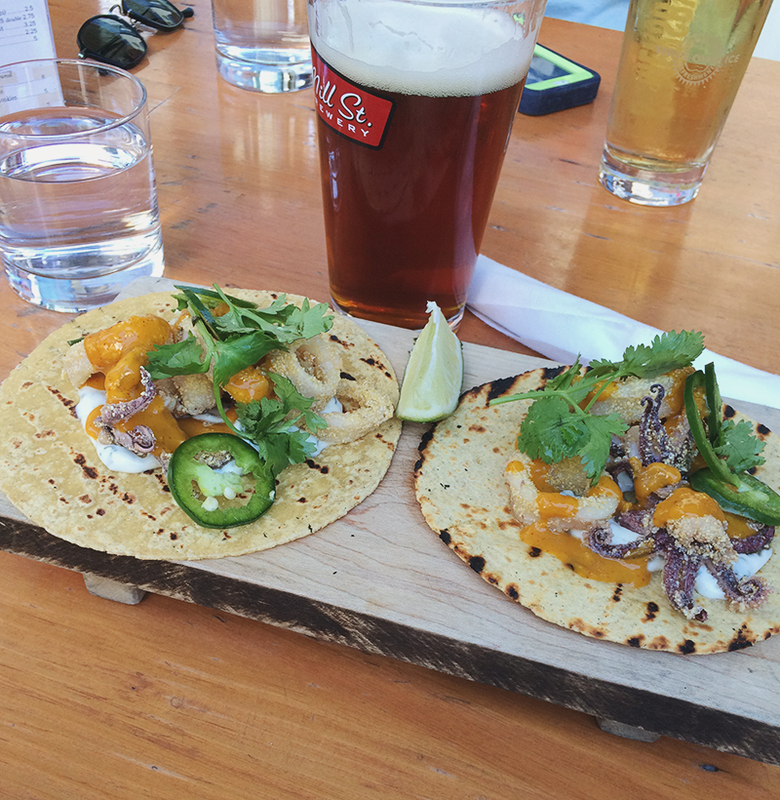 I was a bit hungry so I ordered the Calamari Tacos ($12). After all, I was at a restaurant owned by Oliver & Bonacini! The tacos were nice and light and had a delicious mango sauce with buttermilk cream.